Male. Taken at Gilfach Farm, Powys, on May 5th 2018. The Garden Warbler is a very plain brownish bird with no distinguishing features. In summer it can be found in most of England, Scotland and Wales. It spends the winter in Africa. 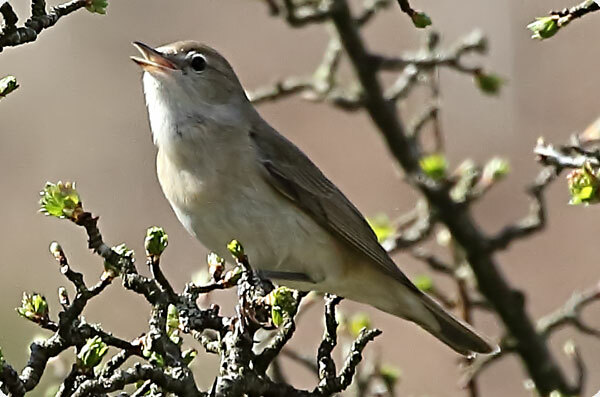 Despite its name, the Garden Warbler prefers deciduous woodland with glades, rides and other open areas. It especially likes coppiced woodland. It has very discrete habits, and is often difficult to see other than briefly. There are about 170000 breeding territories in the UK.